Long-time KCK school board member, Gloria Willis, dies – Welcome to Wyandotte Daily! 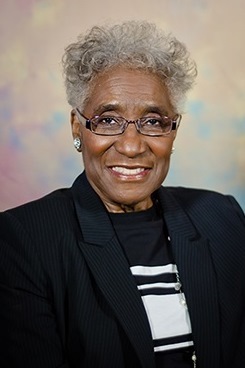 Gloria Willis, a Kansas City, Kan., school board member for 21 years, died Thursday, Dec. 22. Willis, 85, taught in the Kansas City, Kan., Public Schools district for 41 years before retiring and joining the school board. She died after a brief illness. According to the school district, Willis always placed the needs of children first. She was a former teacher, central office consultant and principal before becoming a board member. When the district made its transition from a segregated system in 1953 to one that today serves a multicultural population, Willis was there to oversee the process. Willis, a native of Texas, graduated from Tillotson College in 1952. Her master’s degree and administrative certification was from Kansas State University. She taught at five elementary schools in the district for more than 18 years before becoming a central office consultant, according to information from the district. She was principal at Grant Elementary for a year, then served 13 years as principal of Quindaro Elementary. After her retirement in 1994, she joined the Kansas City, Kan., Board of Education. Willis was a member of Trinity African-American Episcopal Church, where she served on the Board of Trustees, the Stewardess Board and the Women’s Missionary Society. She was also on boards and did volunteer work with City Vision Ministries, Shepherd’s Center, Wyandot Center and the Women’s Chamber of Commerce. She was preceded in death by her husband, Russell. They had one daughter, Sonya Willis, who currently works in the school district.